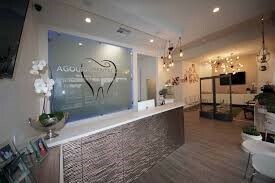 At Agoura Dental Group we accept a wide range of dental insurances, like PPO plans, HMO plans, and Dentical. Don’t know if you’re covered? We can help. PPO insurance plans will let you go to most dental care providers, while HMO plans are more picky. Any insurance plan will usually cover annual and semi-annual visits for a simple dental cleaning, but may require a co-pay for more costly procedures, such as braces, crowns, and dental implants. It’s helpful to have a plan that covers preventative dental care, such as cleanings, x-rays, and exams. Having routine preventative care can save you money in the long run, as it avoids problems such as tooth decay. When an insurance plan offers a co-pay, it means that they will pay for a percentage of a procedure, and you will pay for the rest out of pocket. This can be a good thing, as some plans cover up to 90% of costs. We even offer zero-down payment options to help you with your out of pocket costs. Agoura Dental Group proudly serves our community and surrounding cities, such as Woodland Hills, Malibu, Agoura Hills, Westlake, Oak Park, and some from as far as Los Angeles. To know the specifics in regards to your plan and what we cover, feel free to call us at Agoura Dental Group to see what we can do for you! Next post: Did you know that Agoura Dental Group accepts Medi-cal /Denti-cal?